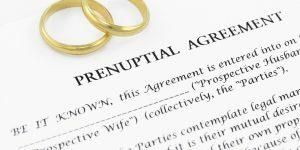 Setting everything else aside, how much does the date on which a premarital agreement itself was signed actually matter? The fact of the matter is, the date on which the agreement was executed, in itself, is not the single, determinative factor courts use when determining whether a premarital agreement should be enforced. What exactly does this mean? This means that if you signed a prenup on the eve of your wedding and are now getting divorced, you shouldn’t assume that it will be deemed unenforceable based on that mere fact. In fact, there is no one single factor that can make or break your case to enforce a premarital agreement, or to declare a premarital agreement unenforceable. In the case of Marriage of Murphy, Cathy and Bill were all set to marry on November 18. 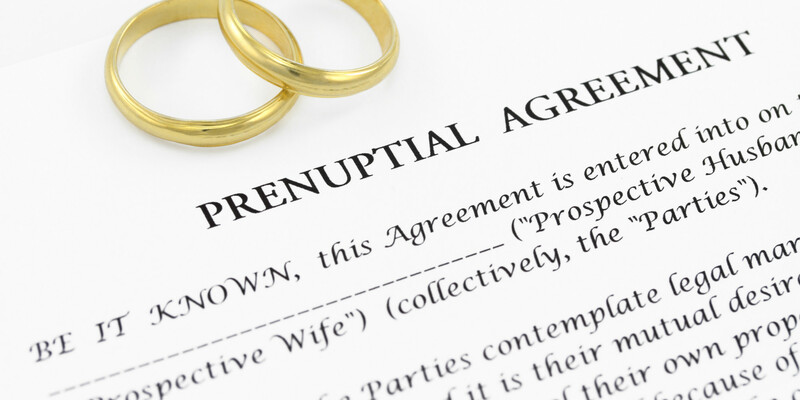 On November 16, Bill presented Cathy with a prenuptial agreement. Cathy was under a lot of stress due to last minute preparations, and having to keep their marriage a secret per Bill’s request (the divorce from his prior wife was not final until November 15). On November 17, Cathy called an attorney she used in the past to meet with her and Bill. The three of them met, the attorney reviewed Bill’s draft premarital agreement and explained everything to Cathy, and advised her not to sign it because it was very one-sided. The attorney said he would draft a new agreement. On November 18, the day of the wedding, Cathy and Bill met with the attorney again. He explained the new draft to Cathy and made more revisions, per Cathy’s request. The parties then went to meet with Bill’s attorney to review the agreement. Cathy took a phone call while Bill and his attorney discussed the agreement. Bill handed Cathy a copy of the agreement and told her to sign it. Cathy stated she wanted to read it first, but Bill advised her it was getting late (it was 3:40 p.m., and the wedding was scheduled for 6:30 p.m.). Cathy asked Bill if the agreement was exactly as they had discussed, Bill confirmed, and Cathy signed it. The trial court found that Cathy actively engaged in negotiations, and concluded that the agreement was not a product of coercion or duress. The trial court further held that the agreement was not a product of duress due to the last-minute nature of its execution, but did note that there were some stressful circumstances surrounding its procurement because the wedding was so imminent. This itself, however, did not render the agreement unenforceable. Ultimately, the court found that the period of time between the execution of the premarital agreement and the marriage ceremony “is only one factor among many that is considered when determining the validity of the agreement.” The Appellate Court affirmed the decision. In the case of Estate of Hopkins, the court found that a premarital agreement was enforceable even when wife first saw it the night prior to the parties’ wedding, and signed it that same night. As one can see, the date on which a premarital agreement is signed in relation to the wedding ceremony is but one factor of many in determining whether a court will enforce a premarital agreement. The ultimate determination is driven by the specific facts surrounding the circumstances and execution of the premarital agreement. If you have questions about the enforcement or execution of a premarital agreement, please contact us.